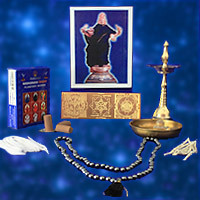 Pooja is a sacred practice performed to establish connection to the cosmic energies or a specific archetype. This is a general term to encompass light and/or sound invocations such as prayers, mantras, slokas (Sanskrit verses) and offering ghee light, incense, fruits and so on. Pooja Remedy to Saturn is important as this planet is ‘The Agent of Your Karma’. Especially but not exclusively, when you are running your Saturn Dasha or Bukti, have Saturn in your 8th house and of course when you are running your 7 ½ year phase of Sade Sati. Perform a mini Saturn Fire Ritual each time you burn as each cone is made with the herb that is sacred to the planet Saturn. The same herbs go into a sacred Fire Ritual/Homa to Saturn. To connect with the energies of Saturn, it helps to get an image in your mind of the representation. The Lingam is the form of the Supreme Intelligence energy. Each day there are windows of opportunity to connect with a karma dissolving energy. These times are called ‘Pradosham’ and are not to be missed if you want to dissolve karma. Remember that Saturn is the Agent of Your Karma. 1. Bhairava is a fierce form of Shiva the Supreme Energy. He is considered the Guru or teacher of Saturn and has power over Saturn. 2. Saturn gives you opportunities to evolve in life although the lessons may be harsh at times. Keep him in your consciousness and lessen his tight grip. 3. Hanuman is the Monkey God who can control Saturn. There are many Vedic Myths available to read online. Sesame oil is the fuel of choice for offering light to Saturn. If this is not available in your region, ghee (clarified butter) is good. There is also a special lamp oil made of 5 different oils if you can find that. Vibhuti- the white powder- is a mixture of sacred ashes from Fire Rituals, healing herbals and herbal oils. It is considered ‘prasad’ or a gift from the Archetypal Beings as oblations given to the fire sacrifice, were alchemically transformed into this pure substance. It is traditionally worn on the 3rd eye or across the forehead from left to right, using the left 2nd, 3rd and 4rth fingers of the right hand. . It symbolizes the Divine Masculine Energy of Cause. Kum-kum- the red powder- is basically energized powdered turmeric and/or saffron powder. It is also considered ‘prasad’ as it is offered to the goddesses then applied- traditionally- on the 3rd eye. It symbolizes the Divine Feminine Energy of Effect or Creation. 1. It is recommended to do your Daily Saturn Rituals in the morning after showering. Prepare a clean, sacred space where you can set up an ‘altar’. Do not let others touch the items on your altar. It is recommended to keep it out of high traffic areas and/or kitchens and bathrooms. An altar has personal meaning. Make it beautiful and inviting. There are no hard and fast rules to setting one up as long as your intention is pure and earnest. An altar is a focussing tool. By giving lots of attention to your intention, you will become aligned to those energies and develop a close personal connection with those diving energies. 1) earth- the offering of food and/or sandalwood paste. 2) water- the purifying of the fruit and the hydration or ‘abishekam’ of the Lingam. 5) space- flowers carry the space element and take your prayers through the ether to the divine. Fix the picture to the wall behind, or raise it on a platform behind the Saturn section of the 3-in-1 Yantra. Frame it if you wish however refrain from using the glass or plastic over the picture. Transmission of energy is best with no interference. When filling the lamp with oil, leave approximately 5mm from top so that oil does not spill when offering light to deities or drawn out by the wick. Erukku burns more quickly than the cotton wicks. Use it to burn the lamp for at least 15 minutes per session or to make it last longer, unravel half of the erukku and use that half to wrap around a standard cotton wick. Saturate the half and half wick with ghee before lighting to make ignition easier. Be sure to press out the excess ghee or it will be too wet to light. 1. Set your intention. Do not be distracted. 2. Apply vibhuti using your right hand- 3 fingers (2, 3, and 4) and apply ‘stripes’ on your forehead from left to right. Apply the kum kum with the 4rth finger of your right hand in a dot at your 3rd eye. Vibhuti itself will remove karma and protect you throughout the day. You can rub it in so that it isn’t visible when you leave the house. a. Bhairava Yantra (Left diagram on 3 in 1 Yantra), chanting 3 times “Udyamo Bhairava” (ood (like wood) yah moh bye rah vah) – the sacred sounds/mantra for Bhairava. b. Then offer light to Hanuman Yantra (Right diagram on 3 in 1 Yantra), chanting 3 times “Om Reeng Hreem” (ohm rhreeeng hreem)-the sacred sounds/mantra for Hanuman. c. Then offer the light to Saturn (Center diagram on 3 in 1 Yantra), chanting 3 times “Om Sanecharaya Namaha” (ohm sah kneech ah rah yah nah mah ha)–sacred sounds/mantra for Saturn. At the speed of light, your connection is made to the divine. 5. Light the incense cone. 6. With your right hand, pick up the incense and do 3 rotations of the lamp in a clockwise direction in front of Bhairava, Hanuman and then Saturn using the same mantras as above. The incense is like a radio tower that sends your prayer signal to Saturn and you then receive Saturn’s blessing signal through the air waves connection created. 7. Offer fresh flowers or flower petals the same way. Flowers are divine and are a great medium to send your prayers to the divine. 8. You can offer a piece of fruit or a raisin with small drops of water to slightly hydrate to each deity on the Yantra/Archetypal Energy Device. 9. Offer about 1tsp of black sesame seeds to Saturn using the same mantra as above. These are Saturn’s favourite ‘food’. 10. Use your Hematite Mala to chant the Saturn mantra 108 times whenever you can, especially on Saturday. 11. Make your prayers to Saturn with utmost sincerity. 12. Either keep your Saturn Mala on your Saturn altar or wear it inside your clothing next to your skin to keep the positive vibration connection with you all day. Caution: Never leave the lamp or the incense burning unattended. An Anointing/Hydration Ritual/Abishekam performed at these special times helps to dissolve your karma. Saturn is the planet who is the Agent of Your Karma. It is beneficial to do this ritual anytime however it has more potency and effect during daily Pradosham time or of course on the 13th Moon Phase. 1. Place the Crystal Shiva Lingam in the small brass saucer. 4. Repeat at least 3 times. (3, 9, 18, 27, 54 or 108 times). 5. Rinse off the Lingam and saucer, dry and place on altar.